Moomintroll is the main character of most of the books, a spirited troll with a keen sense of adventure and fun. 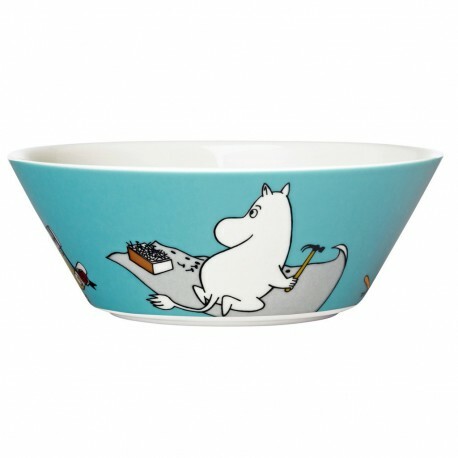 Moomin lives life fully, and views the world with a feeling of wonderment for such simple pleasures as collecting stones and shells. As gullible as he is enthusiastic, he is also naïve and extremely good-natured. He is in love with Snorkmaiden. In the cartoon strip he finds himself beset by endless problems, and is almost always unhappy, though this is by no means the case in the books..